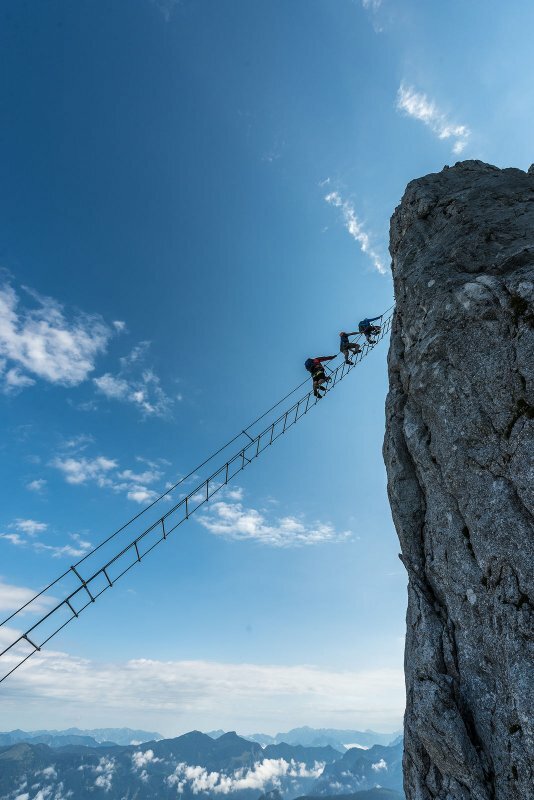 Climbing and via ferrata in the Salzkammergut: Unique attraction on the Donnerkogel via ferrata, on the Zwieselalm in Gosau: a 40-meter-long Jacob’s ladder. 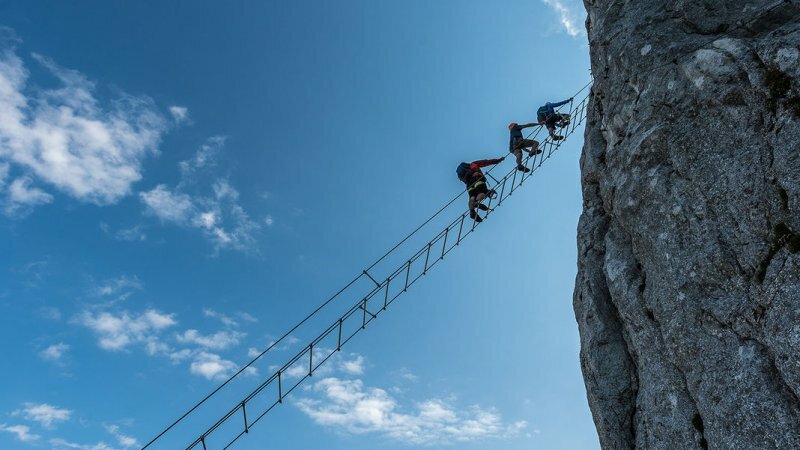 Outdoor Leadership represents safe fun in the mountains. Here guests can choose from a wide range of offerings which even in bad weather allow a programme. 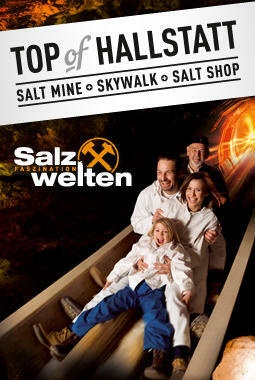 As a builder of via ferrata and natural ropes course facilities they provide guests a wide choice of tour destinations. 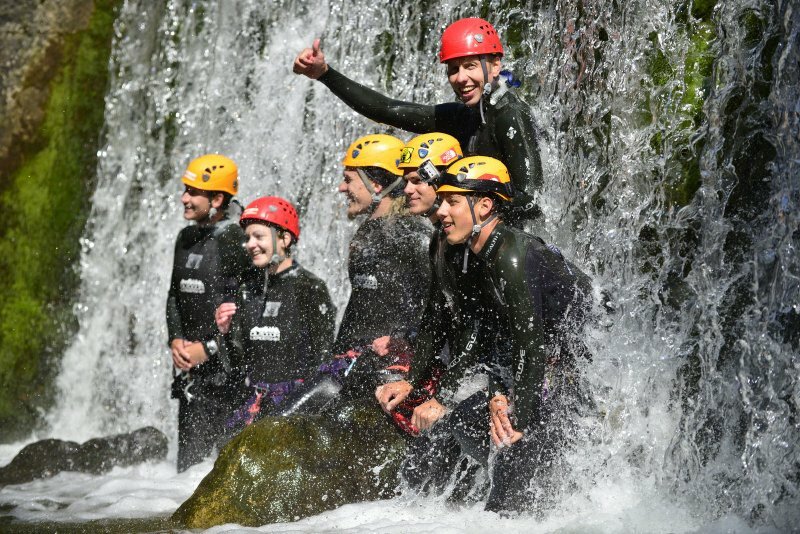 During the hot summer months there is canyoning, kayaking and wild rides on cool Boards. 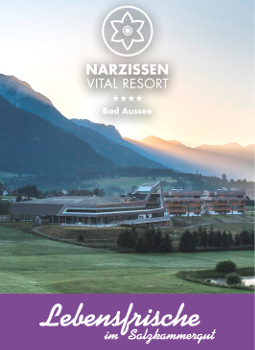 Corporate events or seminars are offered year round from Outdoor Leadership and include a mix of all the above offerings. 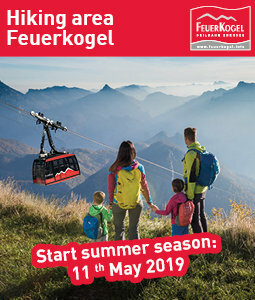 In winter guests can enjoy the freeride and ski school offerings with ski guides from Outdoor Leadership in the Freesports Arena Krippenstein. From beginners to ambitious freeriders - the Krippenstein ski guides will find the right course for you. 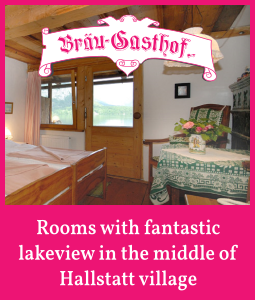 With Outdoor Leadership in Bad Goisern on Lake Hallstatt, you get everything under one roof. 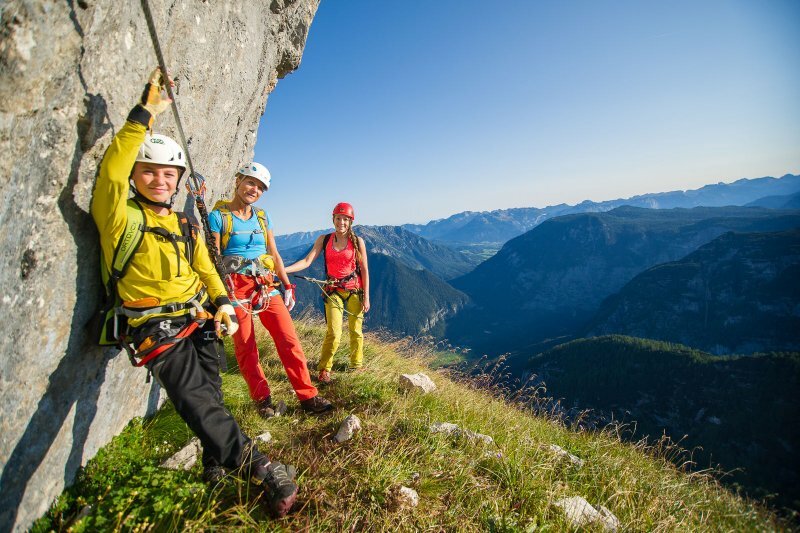 The professionals from Outdoor Leadership take care of your leisure activities in the Salzkammergut, from planning through to implementation to provide an unforgettable active vacation between mountains and lakes. Canoe tours which can be booked half- or full-day. 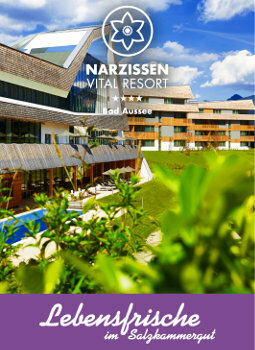 A holiday in the UNESCO World Heritage Region of Hallstatt Dachstein Salzkammergut offers so much more than just sightseeing, culture and pleasure. 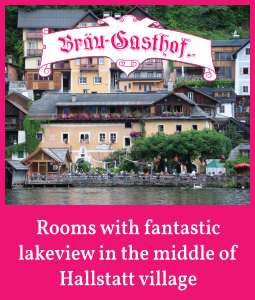 In Bad Goisern on Lake Hallstatt, Hallstatt and Obertraun, you have the opportunity to fully experience all types of action sports and satisfy your craving for adventure. 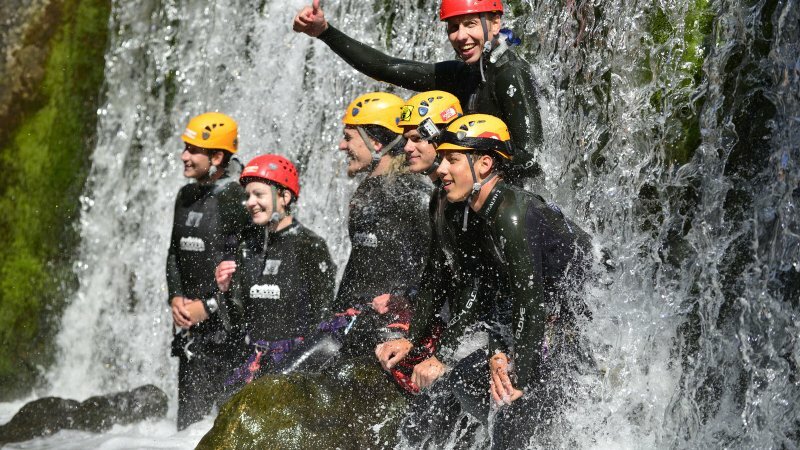 Hiking and mountain biking as well as climbing, swimming and even scuba diving are only some of the possibilities for getting out and enjoying the natural surroundings. 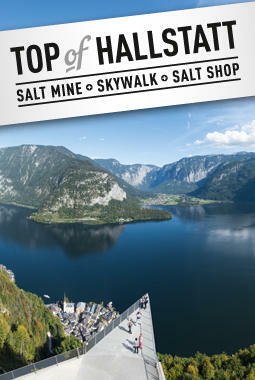 The extraordinary landscape of the Salzkammergut is made for outdoor activities. 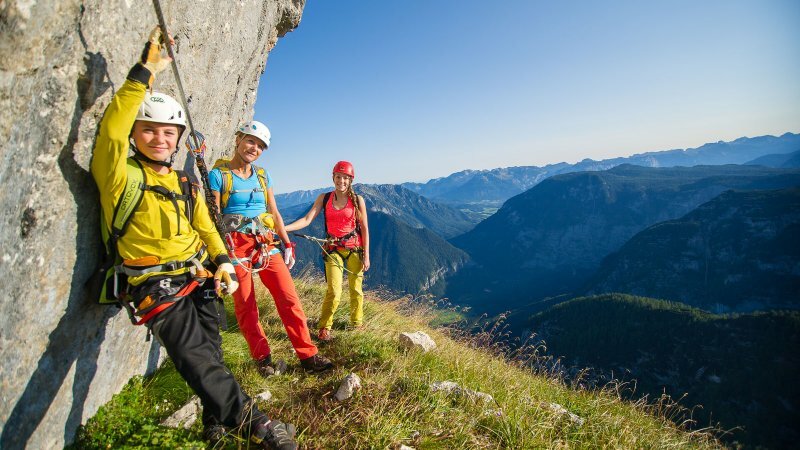 From swimming in the crystal-clear lakes and rafting on the Traun River to paragliding from the 2000 meter Krippenstein in Obertraun, you can push yourself to the limit during an active holiday in the Lake Hallstatt region.